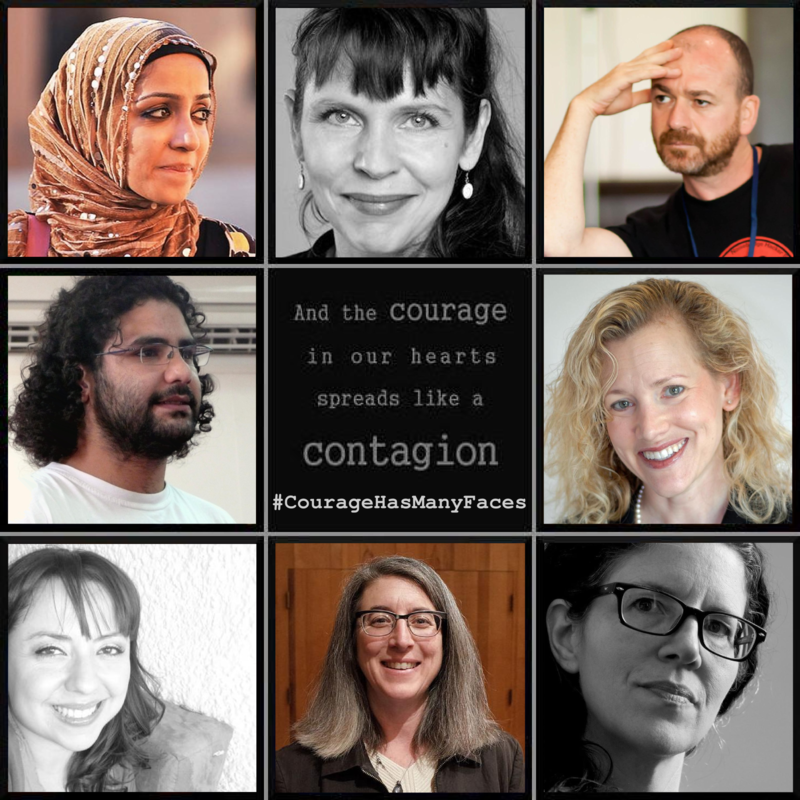 I woke up this morning to see this post by Jillian York, “Courage – it’s not just for white men”. Suffice to say, I wholeheartedly agree with it, especially the idea of remixing that wholly reductive image released by Pirate Parties International. As Jillian mentions, there are a whole host of women and people of colour that didn’t appear on the remixed version she produced; so, here’s another, with the people who came to mind for me. 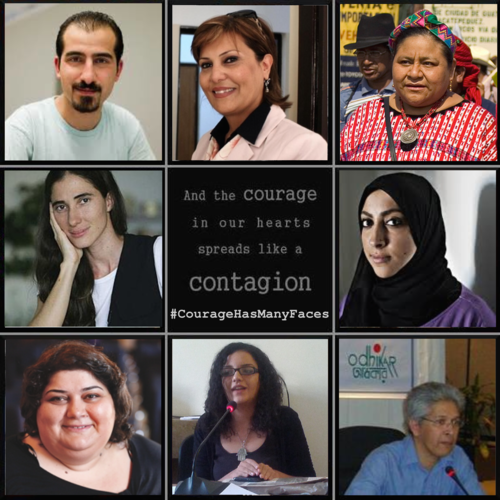 Clockwise from top left: Bassel Khartabil), Salwa Bughaighis, who was assassinated just a couple of months ago- (this blog post written by her nieces is a good place to start learning about her), Rigoberta Menchú, Maryam al-Khawaja, Adilur Rahman Khan, Sanaa Seif (news here and here), Khadija Ismayilova, Yoani Sanchez. I wonder though, how many people could come up with a list of 9 brave women, or people of colour, just like that? A couple of years ago, I probably wouldn’t have been able to. As mentioned in Jillian’s post, the problem is self-perpetuating, and, I would suggest, all too easy to ignore, until it comes to the issue of having to find, for example, a “diverse” conference line up. In these cases, the excuse of “but I didn’t know anyone else” comes up far too often; of course you didn’t, because you stuck to the mainstream and made no effort to find voices who are marginalised and ignored by this system. It’s no surprise. Becoming aware of who you’re listening to and where your information comes from is the first step; once you start looking, it’s really not so hard to find people with different world views out there to listen to and learn from. copy and paste into the original ( I would recommend using this high res original, not my one! The most time consuming aspect for me was finding public domain images - I wanted to include Meriem Ibrahim, for example, but couldn’t find an image of her.